#1 No Poverty: Affordable clean energy powers economic activity that enables all to participate. #2 Zero Hunger: Zero fuel costs to desalinate, pump, or purify water powers local, self sustainable agriculture in many more areas. Zero fuel cost energy affords climate-controlled greenhouses at any latitude or location. 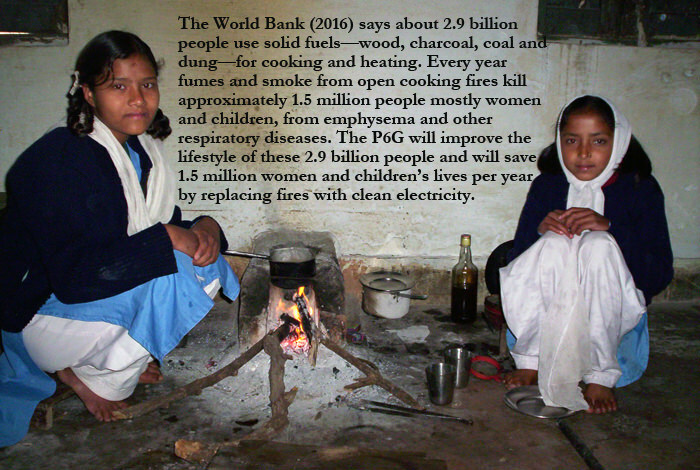 #3 Good Health: Our tech will save 1.5 million lives per year by replacing cooking/heating fires with clean electricity. Water scarcity eliminated. #6 Clean Water and Sanitation: Our technology will afford a low, flat-rate cost to desalinate, purify and pump water, making clean water and sanitation available to everyone in the world. #7 Clean Energy: Our technology will change the energy paradigm from a consumption based cost model to a use-as-much-as-you-like, flat-rate cost model. #8 Decent Work and Economic Growth: Our technology will power a new industrial revolution that everyone, everywhere will be able to participate in, all without any environmental impact. #9 Industry: Flat-rate, use as much as you like consumption model encourages economic activity. 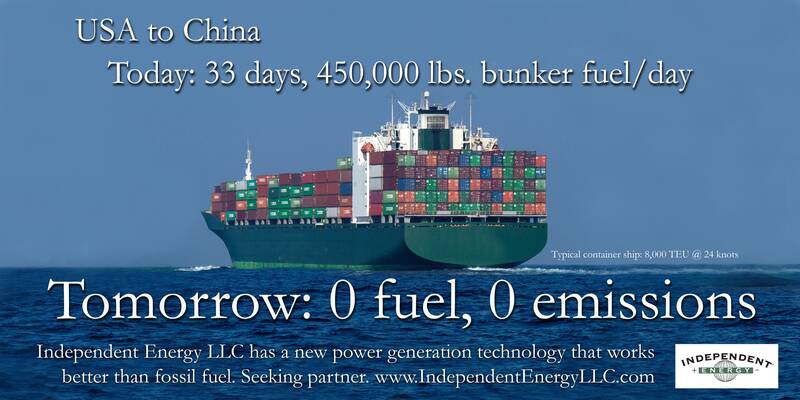 Zero fuel costs transportation encourages delivery via heavy lift drones reduces time between remote areas. #11 Sustainable Cities: Our technology will provide 100% of the power requirements in urban locations, by clean sources that are located within the city itself. #13 Climate Action: Our technology will eliminate nearly 83% of GHG emissions while economies grow. #14 Life Below: The rapid elimination of GHG’s from energy generation, industry and transportation will reverse the ocean warming trend in the shortest possible timeframe. No more off-shore exploration for fossil fuel. #15 Life on Land: The rapid elimination of GHG’s from energy generation, industry and transportation will be enough to reverse the effects of climate change on land. Our proposal is a technical solution that positively impacts just about every aspect of life, but in varying degrees when broken down by SDG’s. The largest impact from our tech are to those SDG’s that a technical solution affords an improvement. 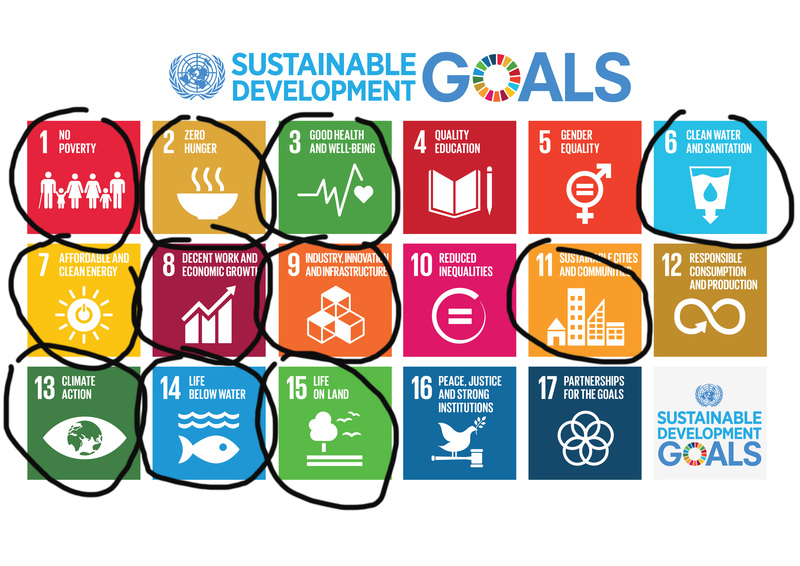 However, other SDG’s will also be impacted indirectly, in as much as technology can improve the lifestyle and provide one with their basic hierarchy of needs allowing them to contemplate higher social/societal aspects such as these SDG’s that are omitted from our proposal: #4: Quality Education, #5: Gender Equality, #10: Reduced Inequalities, #12: Responsible Consumption and Production, #16 Peace, Justice and Strong Institutions, #17 Partnerships for the Goals. Therefore any other proposals that impact 4, 5, 10, 12, 16, and 17 SDG’s would be the perfect integrated partner. Abundant, affordable energy is a one of the foundations of civilization that affords us the opportunity to try to reach self-actualization. Man’s hierarchies of needs were made far easier to obtain during the industrial revolution that was powered by inexpensive, abundant coal. However, almost 20% of the world’s population missed out on the benefits of the industrial revolution and are still without access to electricity today and struggle to meet the basic lower needs. Early on during the industrial revolution we didn’t realize that the use of fossil fuel would not always be considered good. Today we are faced with the reality that in order keep our existing economies growing and to provide equal access to energy to those who have never had it before we need to find an energy solution that is far better than fossil fuel, nuclear power and existing renewables. #1 Poverty: Affordable clean energy powers industrial revolution and economic activity that enables all to participate and become contributing members of the economy. #2 Zero Hunger: Zero fuel costs to desalinate, pump, or purify water powers local, self sustainable agriculture in many more areas. Zero fuel cost energy affords climate-controlled greenhouses at any latitude or location. Transportation fuel costs eliminated makes it far easier to provide logistics for self sustainable agriculture with excess distributed to the marketplace. #3 Good Health: Our tech will save 1.5 million lives per year by replacing cooking/heating fires with clean electricity. Water scarcity eliminated. Abundant clean energy provides access to labor saving devices for better health, better food, better water, allows more people’s basic needs to be met and the ability for more to try to achieve self-actualization. #6 Clean Water and Sanitation: Our technology will afford a low, flat-rate cost to desalinate, purify and pump water, making clean water and sanitation available to everyone in the world. The term water scarcity becomes obsolete as water becomes clean and plentiful everywhere, all the time. #7 Clean Energy: Our technology will change the energy paradigm from a consumption based cost model to a use-as-much-as-you-like, flat-rate cost model and will eliminate GHG’s from energy generation, industry and transportation. This technology will more impact on advancing humans to the next level than any other energy discovery since man first discovered and starting using fire. #8 Decent Work and Economic Growth: Our technoloigy will power a new industrial revolution that everyone, everywhere will be able to participate in, all without any environmental impact. The direct impact from producing this technology alone will create a huge demand for labor that drives wages and benefits up as business seek to keep up with the demand and retain workers. As more more workers have increased levels of disposable income, the demand for all other products and service also increases. #9 Industry: Flat-rate, use as much as you like consumption model encourages economic acitivity. When the cost of heating, cooling, lighting factories is made a flat-rate, industry can operate more often, producing more product within more places. 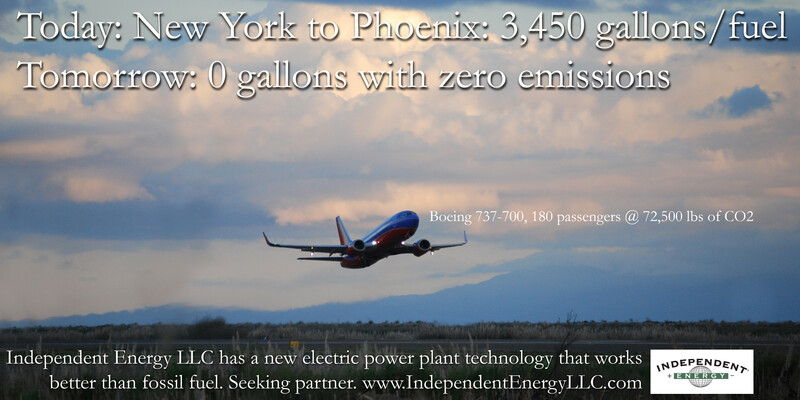 Zero fuel costs transportation encourages delivery via heavy lift drones reduces time between remote areas. #11 Sustainable Cities: Our technology will provide 100% of the power requirements in urban locations, by clean sources that are located within the city itself. Clean water is easy to get, santiation is easy to provide, lighting, heating, cooling of public spaces has no increased fuel cost. Transportation of food, supplies is easy from distant suppliers as heavy lift, long range electric drones provide gross zero logistics of commerce. #13 Climate Action: Our technology makes “climate action” in the ares of energy generation and transportation unnecessary. There is a fundamental misunderstanding of what is happening when objects roll or are rotated. Our technology, called the P6G, uses a rotational aspect that is previously undocumented and has not yet been named. Under 1G conditions (normal gravity) its existence is almost undetectable and is one reason why it has been previously unexplored. Some ask how we discovered something that other physicists have overlooked for years and the answer is partially that the design necessary to take advantage of this aspect wouldn’t have been possible until after the invention high-speed sensors and computers. The P6G design is based on the ability to convert a portion of the effects of centrifugal force (g-force) into kinetic motion. In an experiment we demonstrated that under 1G conditions the technology converted g-force into a small amount of kinetic motion; whereas a cart accelerated at a greater rate and rolled a little further than the same cart with the technology inactive. The mathematics used to predict this experimental result indicate that when our technology is under multiple g-force conditions the conversion is increased at a geometric rate. After funding, our plan is to computer model an advanced experiment to determine the design features and material selection that will maximize the result under multiple g-force conditions. Then we will computer model the entire generator, configured to achieve high efficiency while delivering the desired conditions to maximize the conversion of the effects of g-force into kinetic motion. We do not know the ideal design, materials to used in various systems, ideal operating parameters, life expectancy of the unit. We do not yet have any of the software that will internally operate the device. The P6G relies on two variable, computer controlled sources of energy to operate: 1. Stored renewable energy from a battery and 2. 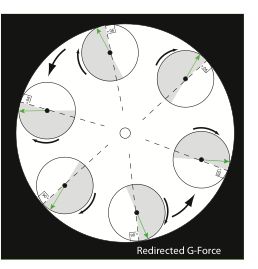 The conversion of g-force directly into kinetic motion. The quantities from each source are varied by a computer depending on the load demand and conditions inside the device. A. A majority of conventional electricity generation systems burn a fuel to create kinetic motion from which electricity can be generated. Our technology also relies on kinetic motion but we use electricity as our “fuel” to create kinetic motion, not via a conventional motor, instead we will use a repulsive magnetic drive system, driving from the outside-in using less energy and creating far less heat while providing a mechanical advantage. Note: Whenever heat or energy is conserved in a process, more energy is available to do the work of the device. B. 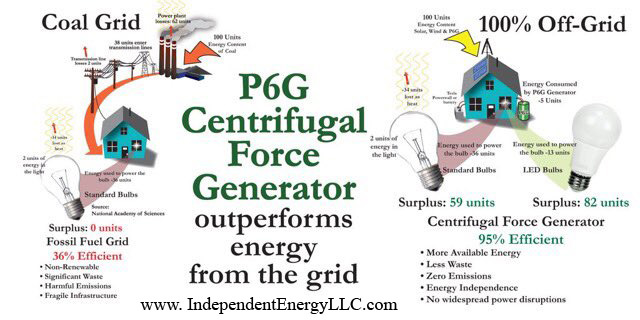 The P6G has multiple generators that roll within a contained track in a nearly frictionless environment via air bearings and maglev technologies. At start-up and low RPM, 100% of the energy required to create kinetic motion will come from the battery. C. As the device increases in RPM, the rolling generators will be subjected to increased levels of the effects of centrifugal force. Laws of physics dictate that when the speed of rotation (RPMs) are doubled, g-force is quadrupled and conventionally it requires quadruple the energy to double the RPM’s. Our more efficient design requires only half of the input energy to obtain that. D. As the device approaches optimal RPM a proprietary design aspect inside each rolling generator converts a small portion of the effects of centrifugal force directly into kinetic motion. This is accomplished by the continuous redirection of the angle of the effects of centrifugal force, slightly forward of the 90 degree perpendicular in the direction that the wheel is rolling. Exactly how this can done is proprietary and is part of our provisional patent. The effects of g-force are now adding to the overall kinetic motion of the device. As RPMs increase, g-force increases and more and more of the kinetic motion (that is the turning of the device) will come from g-force. As more and more energy enters the system, in order to maintain a given RPM, the computer will stabilize the amount of overall kinetic motion by reducing the quantity coming from the battery. Then, a given RPM is maintained while a high value of torque is created. The standard view of energy does not include this new source of energy and therefore often leads to the wrong conclusion of an unbalanced first-law of thermodynamics equation. Energy was neither created nor destroyed. Often this misunderstanding leads to the false conclusion that this technology appears that it will create more energy than it uses, however, this is not correct. It is calculated that the mechanical design would use 31.5kW of energy to produce 30kW of output, having a loss in the system of 1.5kW or 95% efficient. Our process is not perpetual motion as an outside energy source is always required; it is not getting something for nothing; as it is getting something from somewhere new. It does not violate any laws of physics; only works differently than conventional wisdom says it has to. We have proven this aspect through scientific experiment. We have designed a low-friction, ultra high efficiency mechanical device to take advantage of this new aspect of physics; conversion of the effects of g-force into kinetic motion and have provisionally patented the overall design. The device will be far superior to existing conventional energy generation and existing renewables because energy drawn off a battery for heating, cooling etc... is not drawn off at 100% like all other technologies, instead when our technology is used it is reduces draw off the battery to as low as 5%, enabling the generator to operate far longer without any environmental impact. Size: Instead of large solar or large wind farms, the P6G would enable the typical rooftop solar home to operate 100% off-grid while the home or business could consume more energy. In transportation, such as the Tesla electric car, in its current configuration, with the addition of the P6G, it is calculated that range could be extended a factor of 20x. Since 6,000 mile (9,656 km) range is not needed, instead electric vehicles could have smaller/lighter/less expensive batteries but still have far greater range than fossil fuel vehicles. Latitude: The trickle draw off a battery for operation enables intermittent or unreliable solar/wind collection typical at extreme high/low latitudes. Scalability: The mathematics indicates the design is scalable so that larger units can be designed to produce more energy. Zero Emission: The technology design produces no emissions or dangerous waste as compared to fossil fuel and nuclear power. Key Actor #1: Someone to provide initial financing. Possibilities include: UN, country government, private sector venture capital, high net worth individual, or consortium. After year three, the business will become self-funded through manufacturing license sales and residual royalty commissions. Key Actor #2: The proposal authors will license and transfer the technology to manufacturers with existing sales, distribution, and installation infrastructure for household/commercial energy generation use. The proposal authors will license and transfer the technology to manufacturers in transportation: every land, air and sea vehicle. Key Actor #3: The proposal authors will establish a non-profit with the purpose of bringing the technology to worlds poor at no or low-cost to the user. The non-profit will buy and distribute product in the marketplace using funds created from their independent operation. We will locate wherever our funding partner requires us to. Ideally we will be located within the USA where all the principles currently live, but we will do whatever it takes to advance this important technology. 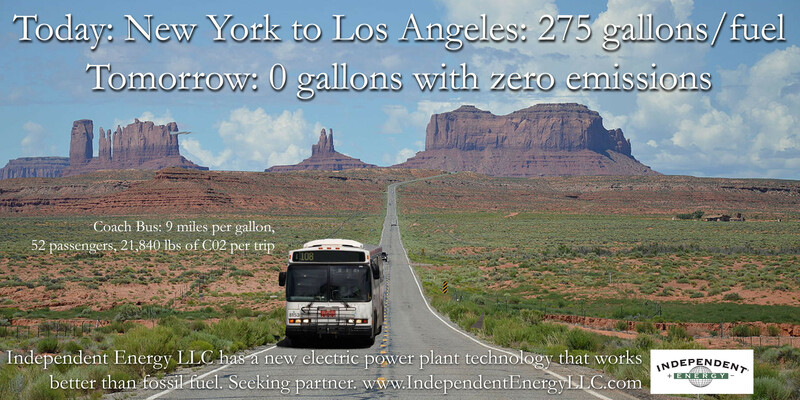 Independent Energy wants to form a joint-venture equity partnership with either: 1.) An existing manufacturer with engineering and computer modeling infrastructure in place or 2.) A financial partner to finance the creation of our own infrastructure. Our budget calls for $1.5 million dollars per year for two years and includes 6 employees, office space, hardware, software, tooling, and additional patents. Once a fully functioning computer modeled prototype is available it will be transferred to hundreds of OEM manufacturers worldwide for use in their products via multi-million dollar licensing fees and on-going royalty commissions. The company ultimately becomes a technology transfer and patent protection operation with cash flow in the hundreds of billions. 1. Full Virtual Generator: (Within year 1-2, $1.5 million per year) design and model a computer-aided engineering (CAE), simulation analysis fully functional generator. Utilize computer-driven tools within the CAD software to operate the device calculating stress and strain, anticipating motion and deflection, thermodynamic processes, efficiencies, energy usage, energy output, vibration, noise and estimated cost for each component when manufactured. Easy for potential licensee’s to validate the technology and modify components as needed for use into their product. 2.) Licensing & Technology Transfer (Years 1-2+) Using the engineering analysis simulation model, license OEM manufacturers in every other applicable industry and application using their existing distribution channels. Licensee’s will include hundreds of manufacturers that will make product to power buildings worldwide plus multiple manufacturers each in all types of transportation: air, land and sea. Our plan is license as many different manufacturers as quickly as possible in every country worldwide so that local manufacturers will produce product for their own countries consumption. Direct employment includes factory construction, employee training, manufacturing, sales, marketing, accounting, finance, customer service, distribution, installation, service and more. This will act as catalyst for economic activity that positively influences economies well beyond direct hires. 3.) Non-Profit: (Year 3+) Establish a non-profit with the purpose of bringing the technology to worlds poor at no or low-cost to the user. The non-profit will buy and distribute product in the marketplace using funds created from their independent operation. We calculate that our technology will eliminate all emissions from energy generation, industry and transportation over a 20 year period. Using carbon emissions per capita the average American is responsible for 19.8 tons per person, and the average Chinese citizen is at 4.6 tons. Our plan is not to become the sole manufacturer of this technology but to share it with the world and license as many manufacturers in as many industries as quickly as possible. Every 2 units installed will remove one household’s GHG emissions from energy generation and transportation. We calculate a single, large manufacturer might produce up to 1,000 units per day. (365,000 units a year) Every 2 units (1 in home, 1 in vehicle) produced makes the household gross zero. The first year will be 2 manufacturers, the year after: 4, then 8, 16, 32, 64, 192, 576, 1,728, 5,184: After year 10; 1.8 billion units will be produced per year, equating to 946,080 million households becoming gross zero GHG’s per year. Every country will fulfill their climate change goals because our technology will enable the fastest possible replacement of 76% of all GHG emissions worldwide. 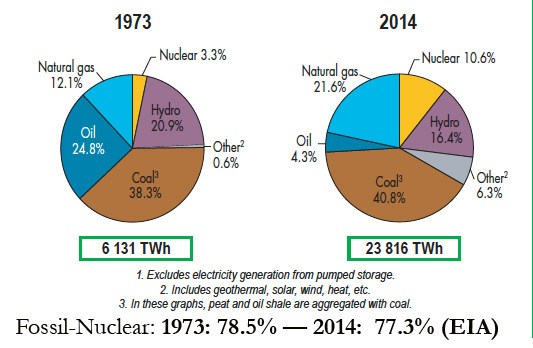 Fossil fuel and nuclear power in energy generation, industry and transportation will be completely replaced with something better. Our P6G technology will power an industrial revolution with significantly increased economic activity that the whole world can participate in. Energy will be abundantly distributed at a better value to everyone, everywhere without any environmental impact. Our technology makes all land, air and sea transportation a new type of electric vehicle with increased range and performance. Fuel free, intercontinental, heavy-lift autonomous passenger/cargo drones will connect the most remote regions to the other economic centers. Our technology will afford a low, flat-rate cost to desalinate, purify and pump water, making clean water and sanitation available to everyone in the world. IE, LLC wants to form a joint-venture equity partnership with either: 1.) An existing manufacturer with engineering and computer modeling infrastructure in place or 2.) A financial partner to finance the creation of our own infrastructure. Our budget calls for $1.5 million dollars per year for two years and includes 6 employees, office space, hardware, software, tooling, additional patents and more. 1.) Computer Modeled Proof-of-Concept: (optional - within 11 months, cost to be determined) This advanced proof-of-concept initiative is available if our potential partner requires it as a means to reduce investment risk. Build an computer modeled concept unit that subjects the key aspect to multiple g-force conditions; amplifying the process and enabling outside evaluators the ability to collect data and quantify the effects of centrifugal force used to create kinetic motion as previously proven in earlier 1G experiments. 2. Virtual Fully Functional Prototype: (Within year 1-3, $1.5 million per year) design and model a computer-aided engineering (CAE), simulation analysis generator. Utilize computer-driven tools within the CAD software to operate the device calculating stress and strain, anticipating motion and deflection, thermodynamic processes, efficiencies, energy usage, energy output, vibration, noise and estimated cost for each component when manufactured. Virtual prototype advantages: Lower cost, shorter timeframe. Easy for potential licensee’s to validate the technology and modify components as needed for use into their product. 3.) Licensing & Technology Transfer (Years 2-3+) Using the engineering analysis simulation model, license OEM manufacturers in every other applicable industry and application using their existing distribution channels. Licensee’s will include hundreds of manufacturers that will make product to power buildings worldwide plus multiple manufacturers each in categories including: cars, trucks, buses, tractor trailers, motorcycles, RV’s, utility vehicles, pleasure boats, transport ships, yachts, cruise ships, private aircraft, commercial aircraft and military vehicles (all types). Company becomes primarily a technology transfer and patent protection operation. 4.) Non-Profit: (Year 3+) Establish a non-profit with the purpose of bringing the technology to worlds poor at no or low-cost to the user. The non-profit will buy and distribute product in the marketplace using funds created from their independent operation. Fred Ball: (Brookfield, CT, USA) Founder, President and CEO. Fred is overseeing the day-to-day execution of company operations and working diligently to bring our equipment to realization. Philip E. Philleson: (Ocala, FL, USA) Founder, Executive Vice President of Engineering. Phil is responsible for all engineering operations. Phil possesses hands-on expertise in the design, engineering and production of energy systems and electro/hydraulic-mechanical equipment. Frank Perroni: (New York, NY, USA) Founder, National and International Marketing. Frank’s focus is on finding potential partners. IE, LLC is seeking to partner with either an existing manufacturing firm with existing engineering in­frastructure in place or a financial firm to that can build the necessary infrastructure with us. Dr. John F. Doorish: (New York, NY, USA) Consultant Dr. Doorish is a Theoretical Physicist. He holds degrees in Physics from St. John’s University (BS, 1980) and MS (1985) in Applied Physics from Columbia University and a Doc­torate (1988) in Mathematics from Columbia University. He has done Postdoctoral Research (1993-1994) in Geophysics at Princeton University. He has also been a professor of Physics at the Borough of Manhattan Community College/CUNY and at Wagner College in Staten Island. Dr. Doorish’s main area of research is stellar structure and evolution and the early universe. He has published papers in several research journals around the world and given many lectures on his research in South America, Europe, as well as in the United States. Paul Farris: Electro-Mechanical Engineering, Consultant (Atlanta, GA, USA) Paul has a background in design development of electro-mechanical components for products within the automotive, medical equipment, aircraft, space and land vehicles. Expert in development of products such as electro-mechanical components and gear drives. Specialist in use and selection of plastic/synthetic materials, polymers and metallic & composites. Glen Beanard: Electro/Mechanical Systems, Consultant (Columbia, SC, USA) Glen is an expert at advising on the relationship between mechanical and electronic control systems. Glen is a trained automotive diagnostic technician of 25 years. His primary duties include trouble shooting of all electronically controlled systems. Time: One experiment consisted in timing a cart rolling down an inclined plane. According to theoretical predictions the cart should take less time, in traveling the same distance, when the ADTRED is active in the four wheels as compared with the rolling cart having the ADTRED locked. Time (unlocked) does not overlap the lower bound 5.99 sec of the time (locked). This experimental result shows that the cart gain energy when its wheels had the ADTRED activated. Distance: The dynamical test consisted in letting a cart to roll down a ramp formed by two inclined planes connected by a smooth curve. The total length of the ramp was 48 feet. In this experiment the cart started from rest; it descended the ramp in the beginning to later ascend another ramp to a maximum height. Fourteen runs were made with the wheels of the cart having the ADTRED locked. Another set of thirteen runs were made with the ADTRED unlocked. Marks were recorded on graph paper from which the average and root mean square deviations were calculated: difference in distance = 2.88 (inches) further with the Down the Ramp Effect activated. This last result is extraordinary. The cart ascended a vertical distance h = 2.88 · sin (3') = 0.15 inches, which correspond to a gain of energy. When the ADTRED was activated the total mass of the cart did not change or did the moment of inertia of the wheels. The cart, through the ADTRED, simply extracted energy from the centrifugal field associated to the spinning wheels of the cart. Conclusion: The cart traveled the same distance in a shorter timeframe and ascended a few inches more the second inclined plane. The extra energy the cart needed to accelerate faster and ascend more the second inclined plane was extracted from the centrifugal field of the four rolling wheels by the DTRE under normal 1G conditions. This extra centrifugal energy was immediately converted into kinetic energy of translation of the center of mass of the cart, and rotational kinetic energy of the wheels. Equity Investment: partnership with either a financial firm contributing funds for the creation of our development infrastructure (location, personnel & tools) or a partnership with an existing engineering business with this infrastructure already in place. We are ready to begin computer modeling the technology. Funding is the single greatest enabling environment this technology needs to be implemented. Consumer Credit: funds would have to available to finance consumer/commercial purchase or lease of the equipment necessary to go 100% off-grid. Personnel: Initially we will need to hire two additional experts in computer modeling and custom simulation with one having the focus in mechanical engineering (components and systems) and the other in computer software (high speed sensors/robotics). As each new OEM is licensed the need for internal engineering, administration, accounting, legal, sales and marketing staff also increases. Our revenue growth will correspond to our ability to stay ahead of personnel headcount demands and our ability to hire, train and deploy personnel worldwide. Introduction to potential licensee companies: closing a contract with the first OEM manufacturer licensee will be a challenge as there will be no precedent to minimize their investment or participation risk. However, the first licensee will likely enjoy other benefits not available to future licensees and these may include: additional equity participation opportunity, advantaged licensing fee and royalty arrangement, earliest possible entrance to the marketplace, extended exclusivity in their particular industry or product category. Once a single OEM has entered the marketplace with a successful product, other OEM’s will have a significantly reduced participation risk and licensing all others becomes much easier and faster. Governments: We will need cooperation from jurisdictions in allowing us to enforce our patents, enabling product use (many jurisdictions don’t allow 100% off-grid buildings), replacing fuel consumption taxes with an alternative that does not significantly impugn growth of our technology. Charitable Contributions: In order to establish a non-profit charitable organization with the mission to bring this technology to the worlds poor at low or no cost, the non-profit would need to receive charitable contributions, therefore an enabling environment of helping others would need to be in existence. Empower rural families to achieve a healthier future through hands-on education!